Mix the eggs and milk in the blender for a few seconds. Put in a mixing bowl and add the feta. Spray the baking pan with Pam spray and poor in the egg mixture. 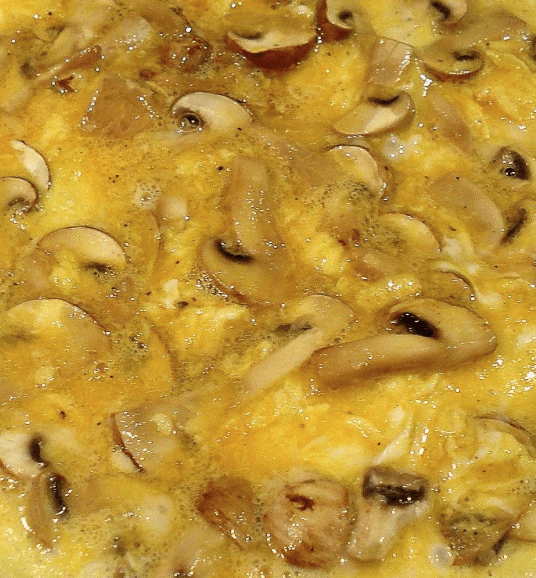 Layer the mushrooms and poor over last bit of egg mixture. Put a lid on the pan and cook till done. Garnish with some parsley.